It's Pumpkin Day! 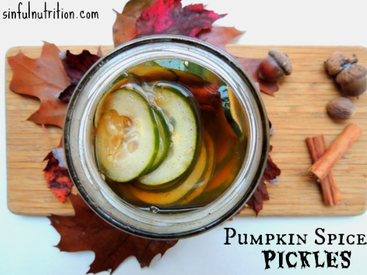 Now what do you eat with pumpkin spice pickles? You mean there’s more ways to eat a pickle besides straight out of the jar? Something new - everyday folks. Here’s some I thought would be good. I can’t make any claims on their success. I eat them out of the jar. ...maybe that last one only sounds good to me…and those who are preggers.